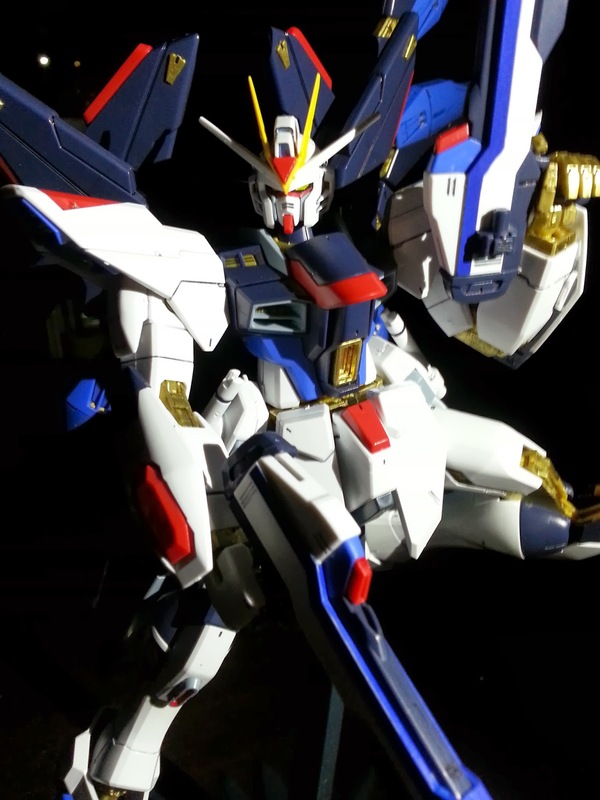 I did share before that I built an MG Strike Freedom here. I haven't posted my follow-up post for that and so here it is! Of course, the awezome box! 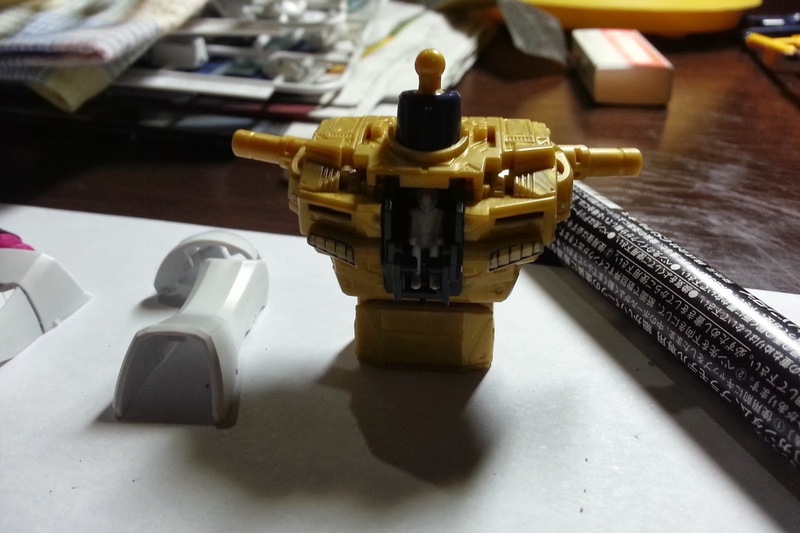 Well, I did mention that I forget to take photos of stuff while I'm making it so by this point, I'm already building the legs. Apparently, I didn't want to paint that much anymore, just adding in some lining was good for me but seriously, Strike Freedom's golden parts should SHINE and the standard color of the kit is NOT satisfying me. So! I went on to paint every single part. It added a bit more working time for me but it was worth it! 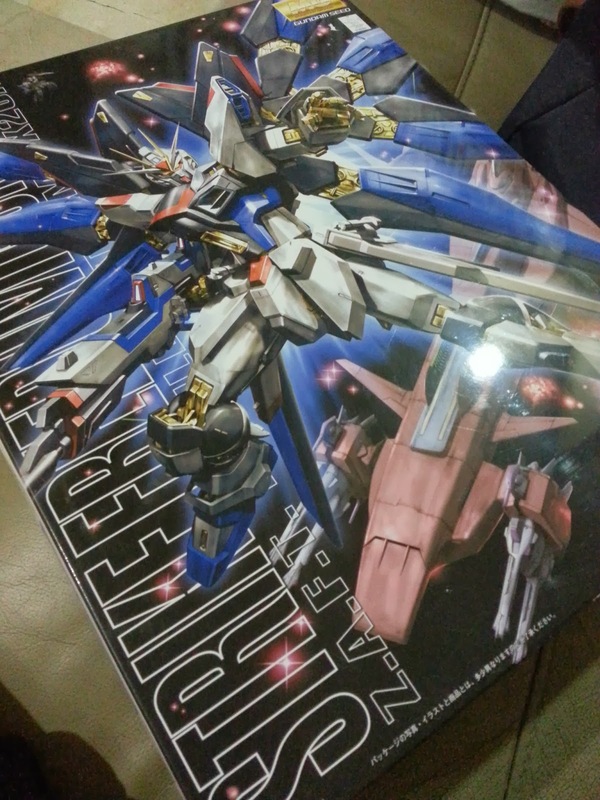 Ahehe~ Now at this point, I'm moving on to the Back Pack of Strike Freedom (Hell Yeah!). It took a while to get there but yeah, at this point, I was totally, TOTALLY, meticulous with the details. 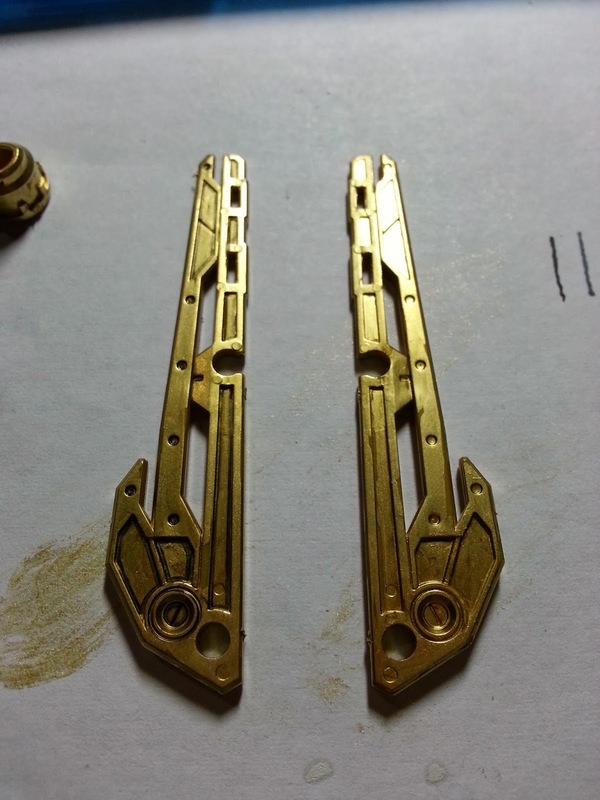 Painting every golden part, adding in some lining, then putting all the parts together. Yup, this is just the RIGHT side of the backpack. There's still the opposite side. 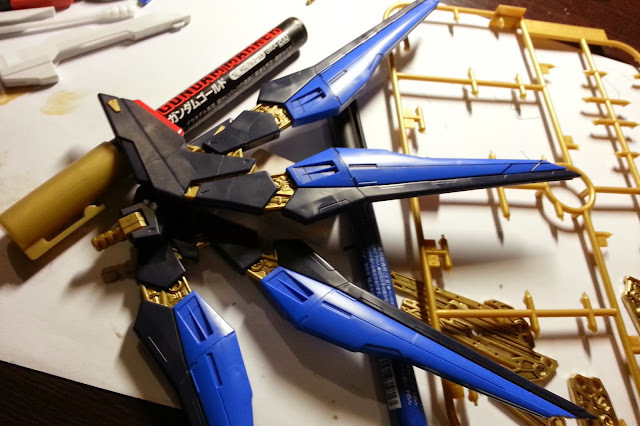 Skipping through the building parts again, I now present you the Back Pack of the Strike Freedom. It's not spread out yet though. And now! On to some posed photos! 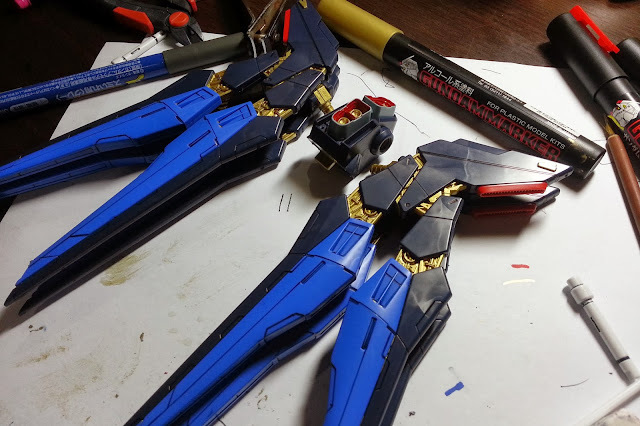 I wish I could provide more process photos of the build but it's just so meticulous and delicate that I just get warped into it. 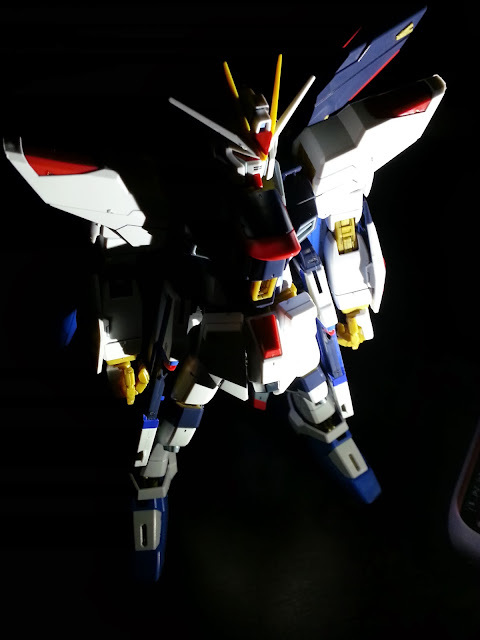 When I do get a new kit, I'll be sure to at least take 1 photo for each part. For those who are thinking of buying the same kit, here's a short review about it. 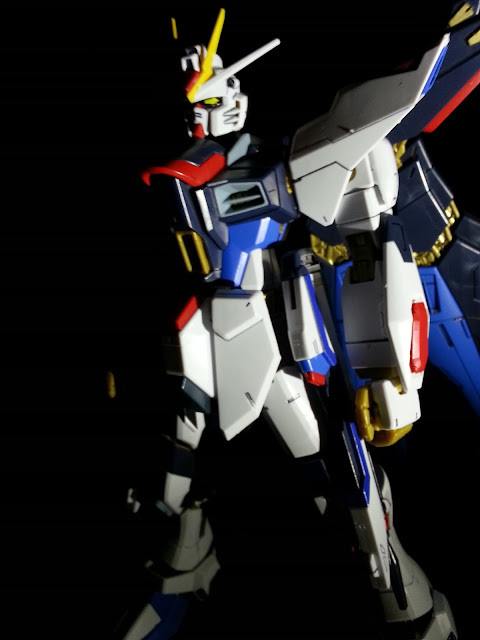 I really enjoyed building this kit. It really took me a long time to finish though because of the detailing that I did with the Skeleton as well as for the Armor. 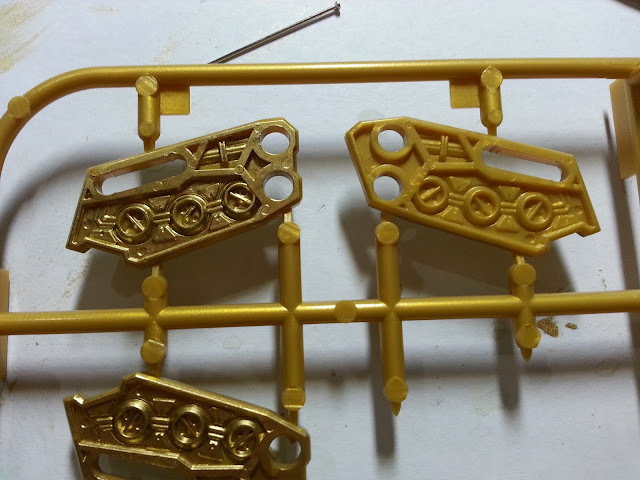 Not much cons except that the Gold parts are a bit Yellow than Gold so I had to repaint them and the base that comes with it is a bit small for a Gunpla this size. You would really have to take your time in balancing the pose that you chose. Other than that, it looks majestic as you would want it to be. 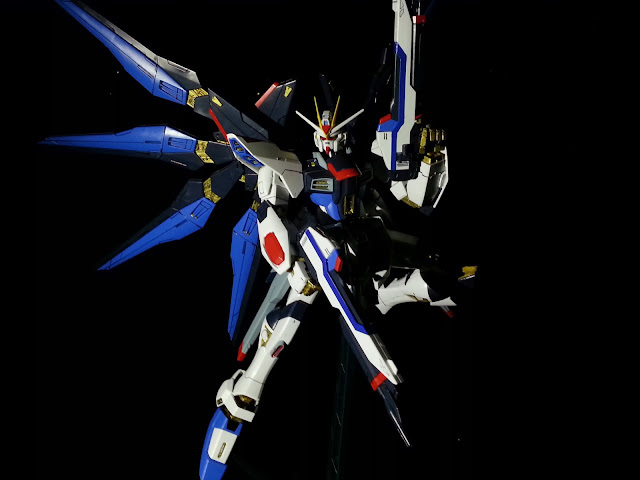 You might be wondering why I didn't get the Full Burst Mode of the MG Strike Freedom, well, I would only want it for the Wings of Light but I'm not really a fan of the Dragoons having their own stands as it obstructs my view of the Gunpla (even though it's a part of it). Things just look a bit messy for me. I'm really happy that I got this one instead but if you really want it posed with the Dragoons out, you would have to research on the Full Burst MG Kit. 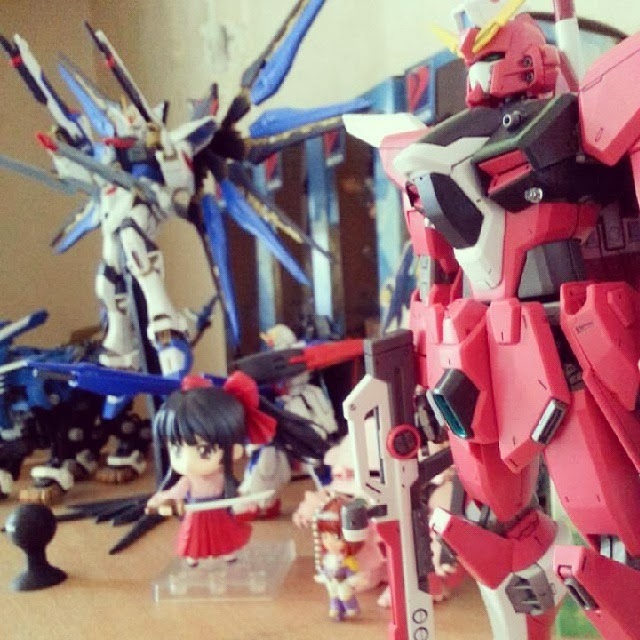 I wanted to build the Extreme Blast Mode for Destiny but I'm now side-tracked to building kits from Gundam Build Fighters so it might take a while~ Hihi!